If you are a computer science graduate or someone who wants to learn Java and looking for some awesome resources e.g. books, tutorials, and online courses then you have come to the right place. In the past, I have shared some great books and tutorials to learn Java and in this article, I am going to share some of the best Java courses beginners can join to learn Java. One of the main problems with learning Java is to keep pace with the increasing number of releases. For example, Java 8 was released in 2014 which completely changed how Java is written and now within the last 6 month, we have two major Java releases in form of Java 9 and Java 10. But the good thing is that the core of Java is still the same and all its releases are backward compatible. If you are learning Java first time, then it's very important to choose the online course which is up-to-date, otherwise, you will be left behind in the job market and your day-to-day programming job with outdated skills. But, before that, let me first congratulate you on making an excellent decision of learning Java, one of the most popular main-stream programming language of the world. The Java Programming language is been around for more than 20+ years now and it has expanded its reach to almost every single field, from small mobile apps to large banking application running on major Investment banks. Java is mainly used as a server-side language to create high performance, low latency servers to handle the complex task. Java is really big on Investment banks which uses it to write end-to-end trading applications e.g. front office application for trade capture, middle office applications to handle booking and allocation and back office application for sending confirmations. Another area where Java really shines is for creating Android applications. Though Google has now declared Kotlin as the official language for Android app development, Java is still quite big and there is no sign of any slowdown in coming years. In this article, I have chosen some of the best Java courses from Udemy and Pluarlsight, which are both comprehensive and up-to-date but at the same time suitable for beginners. This is probably the most popular Java course on Udemy with over 207,000 students enrolled in this course. It has got more than 40K 4.6 ratings which speak a lot about its quality but the most important thing I like about this course that instructor has frequently updated it to include changes from Java 8 and Java 9. It's a comprehensive course with over 72 hours of material and you will learn all major things a Java developer should know e.g. data structure, OOP, Core Java Fundamentals, Java Collections, MultiThreading, File IO, Networking, Database, Java 8, Unit Testing and Java 9 changes. The instructor Tim Buchalka is also a famous Java instructor in Udemy and that shows with enormous social proof associated with this course. Every single concept is explained in detail and you will learn concepts one program at a time. You will not only learn concepts but also tools which are free e.g. Eclipse, Maven etc and essential for Java development. In short, one of the most complete course to learn Java and suitable for beginners as well as Java developers who are starting Java after a long time e.g. last seen Java code before JDK 1.5. This is a relatively new course to learn Java in Udemy and that's why it's also most up-to-date. 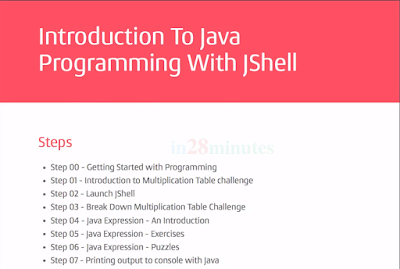 It uses tools like JShell which is introduced in Java 9 to teach you how to program in Java. No doubt, it's a great tool and really makes trying stuff in Java pretty easy. The course structure is also very good and follows the step-by-step teaching method. I like instructor's approach and teaching style, Having gone through some of his Spring courses in the past. The course is also very comprehensive and cover all important Java concepts e.g. Java basics, Object-Oriented Programming, Java Collections, Generics, Multithreading and Concurrency, Functional Programming Networking, File handling, and Exception handling. Once you have gone through a course you would be very comfortable reading and writing Java program and should also feel confident to take any Java interview, if you are learning Java to get a job. In short, an excellent and most up-to-date Java course as of now and the best thing is its free at the time of writing. In Udemy, the instructor keeps their course for free some time to achieve their promotional target, after that its converted into the paid course. So, join it now before it becomes a paid course. Once you are enrolled in the course you will have free lifetime access to all its chapters and associated materials. 3. 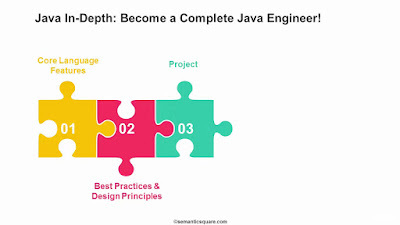 Java In-Depth: Become a Complete Java Engineer! This is another awesome Java course on Udemy which you can use to learn Java from scratch. It's a fantastic course and lived with the tile "In-Depth". The Instructor has very good knowledge of Java and his explanation is awesome, which makes learning more interesting. Like previous Java course, this is also very detailed and comprehensive course and covers the majority of Java topics a beginner wants to learn like variables, methods, classes, collections, data structures, threads, networking etc. On Downside of the course, it's mainly a slide-based course with some code examples here and there. A few more code examples, preferably with new tools like JShell will really help. Though Java has changed a lot from Java SE 8, it doesn't change much in Java 9 and Java 10, hence course which covers Java 8 syntax is good and this is one of such courses. Like the previous two courses, this also covers all essential Java topics e.g. Variables, methods, control statements, loops, arrays and Strings, object-oriented programming, file handling, database, multithreading, collections etc. It also covers functional programming and Java 8 new features along with Java FX which allows you to create GUI based Java application, much like Swing. You will even learn to build a complete Tic-Tac-Toe game in this course. In short, a good course to start with Java programming from scratch. 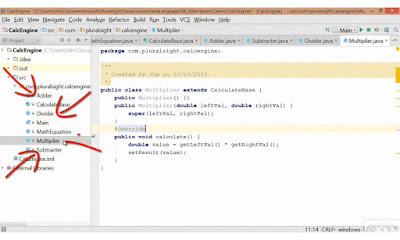 This is a great Java course for beginners on Pluarlsight. It's not most-up-to-date, last updated on December 2015, but all the things it teaches are still relevant. You will learn the basics of Java, Class, Object, Data Types, Threads, Files, Error handling and other core Java concepts. The instructor Jim Wilson is an experienced software engineer with more than 30 years of experience under his belt. In short, a good course to learn Java from a beginners point of view. It provides complete coverage of Java Programming language and servers as found for all Java-based development jobs e.g. server-side development and client-side developing including Android apps. Btw, you need a Pluralsight membership to access this course. A monthly subscription cost around $29 per month but also give access to more than 500+ course which is worth money. Sometimes, Pluarlsight also runs promotions where you can get the annual membership is just $199 and that's how I got last year during December, but, nevertheless, Pluarlsight membership is essential if you would like to keep your skill up-to-date. But, if you don't have a membership, you can still access this course by signing up for the 10-day free trial which provides 200 minutes of watch time for free, without any commitment. That's all about some of the best courses to learn Java in 2018. There are a lot of opportunities for Java developers and once you know Java you will be in high demand. You can joint investment banks which does a lot of Java development, or you can become a mobile application developer by writing games and apps for the Android platform. In short, just chose your domain, there will be no shortage of opportunity to give Java's popularity and penetration on the software development world. Thanks for reading this article so far. 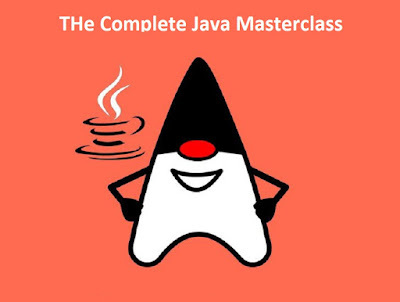 If you like these Java courses then please share with your friends and colleagues. If you have any questions or feedback then please drop a note. P. S. - If you are serious about learning Java from scratch or improving your Java skills but looking for some free resources to start your journey then you can also take a look at this list of Free Java Courses, which contains 10+ courses for Java programmers.